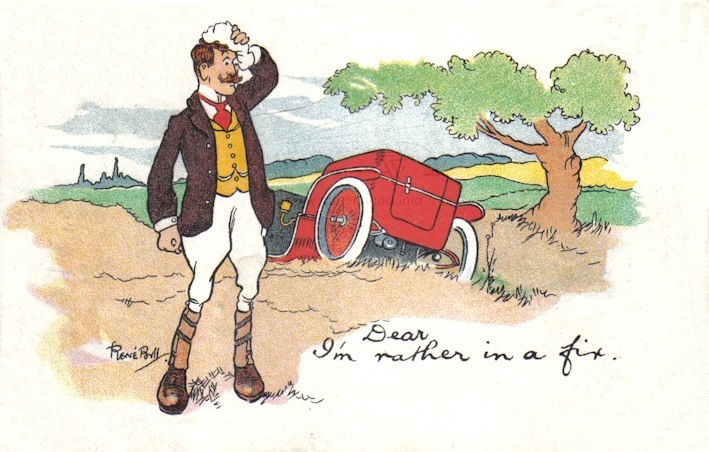 Well known artist/illustrator and cartoonist who used many motoring scenes. He also was a war correspondent sketching the Boer, Middle East and First World War fighting. He was also an important Punch and other periodical magazine cartoonist and was a prominent member of the London Sketch Club. 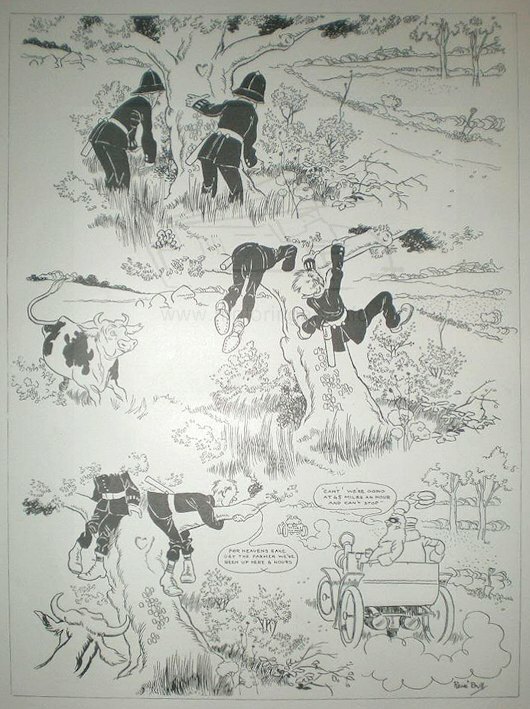 However probably his greatest fame in later life was that of a book illustrator. 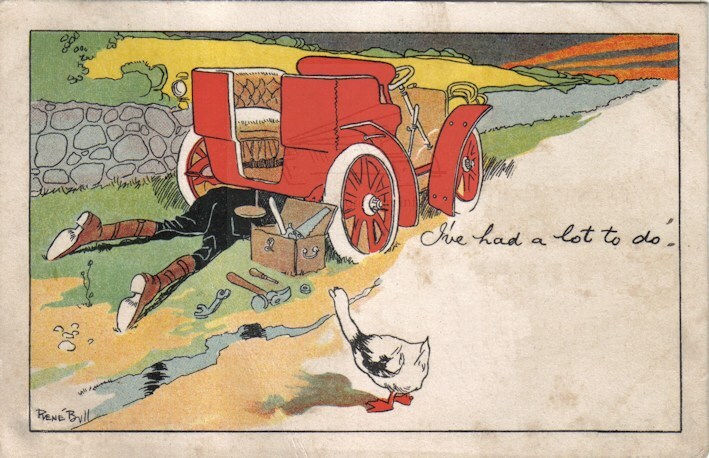 In addition his art was used for several series of comic postcards including motoring humour . I have a lot to do!